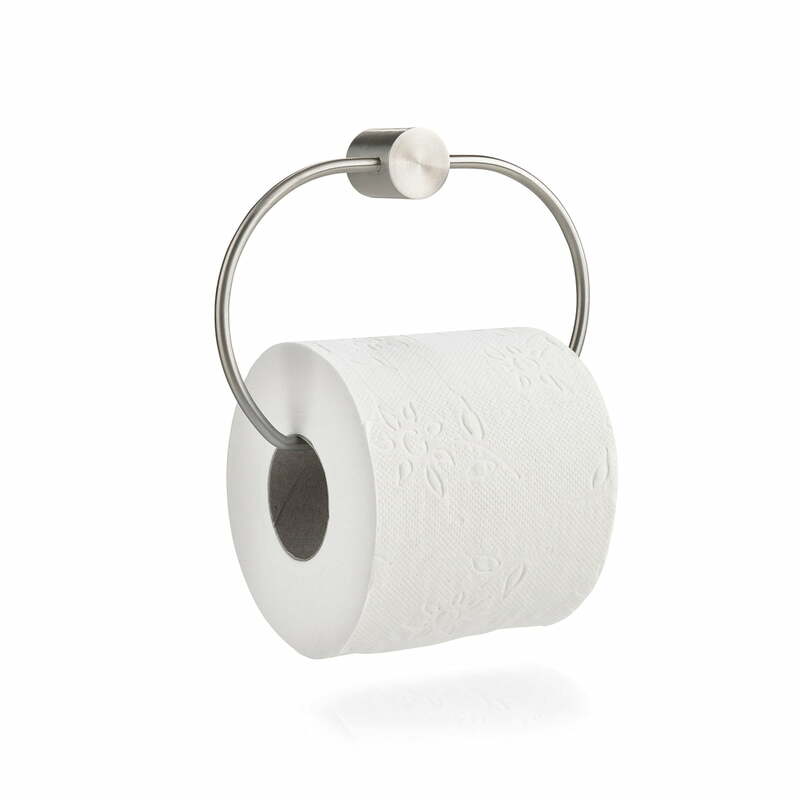 The Hooked on Rings toilet paper holder from Zone Denmark is more than just a useful bathroom accessory. Made of stainless steel and brought into a filigree form, it sets stylish accents and visually enhances any bathroom. A small circle acts as a wall bracket, while the toilet roll is suspended from the fine, elliptical shape. 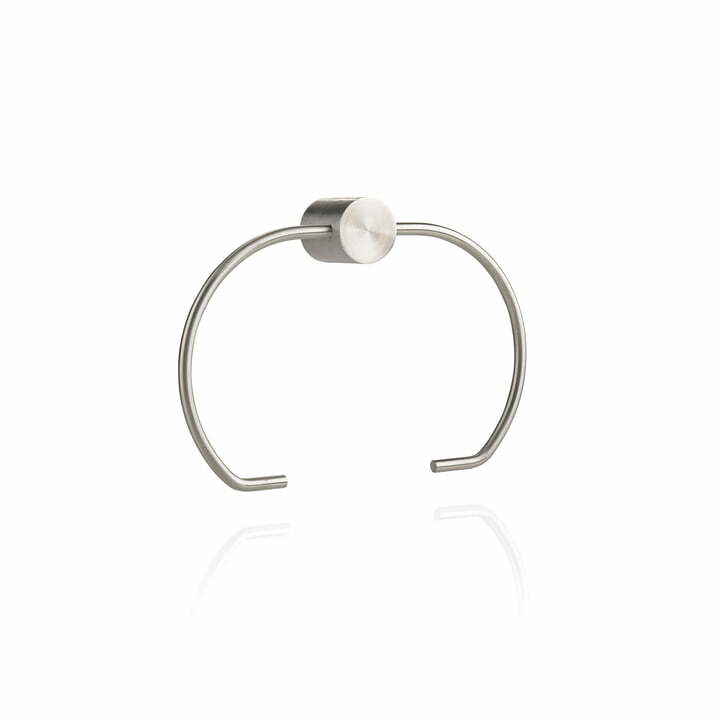 Together with other Hooked on Rings accessories from Mavro // Lefèvre, the bathroom can be designed uniformly and transformed into a place of well-being in no time at all. Hooked on Rings stainless steel toilet paper holder from Zone Denmark in single view. The Hooked on Rings toilet paper holder from Mavro // Lefèvre for Zone Denmark is more than just a useful bathroom accessory. Hooked on Rings stainless steel toilet paper holder from Zone Denmark in single view. Made of stainless steel, it sets stylish accents and visually enhances any bathroom.